⚠️ Caution new book release alert! All book lovers out there, we have news for you. 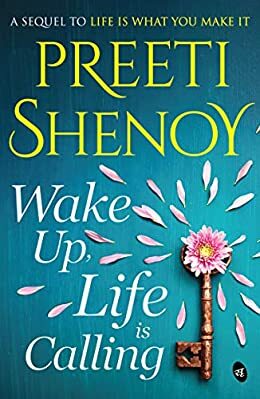 The author of bestselling books, Preeti Shenoy has officially announced that soon she will be releasing her latest book ‘Wake Up Life is Calling’. Preeti Shenoy states that this book will be the sequel to her bestseller, Life is What You Make It. Wake Up, Life is Calling is the latest novel by Preeti Shenoy, awaits to be a part of your bookshelf. This book is the sequel of 2011 published, a national bestseller, Life is What You Make it. Ankita, the protagonist of the story is now leading a ‘normal life’ after overcoming all the hurricanes of her past. She has been on a whirling ride of life and still, she heroically handles her situation. Now, at last, life was being kind to her. 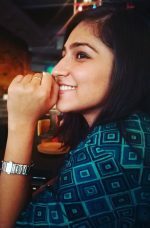 She chose her passion for creative writing as her career. New friends, new course, new college, everything was landing on a perfect line for her. But trouble was peeking into her life. She discovers a book in her college library which had consumed her thoughts and leads her way into the terrifying darkness. Adding to her miseries, her ex-boyfriend shows up out of nowhere. Ankita is again falling prey to the obscurity of life. Will Ankita fight back with more strength this time? Will she be able to defeat her negative thoughts? Wake Up Life is Calling book will be released on 17 April 2019 but the pre-orders have already started. This is a pre-release book review. We will soon update the same after reading this splendid story. Have a glimpse of the book cover launch at the Women Writer’s festival held on 18 March in Mumbai. Go and add this amazing read to your TBR List! 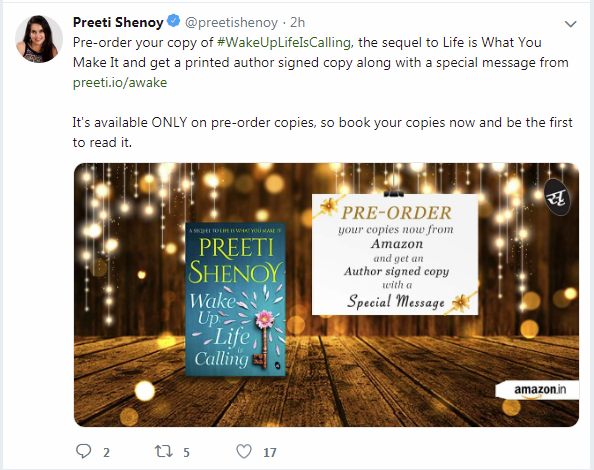 You can get a printed author-signed copy of wake Up Life is Calling Book along with a special message from Preeti Shenoy. This offer is only available on pre-order copies from Amazon. Buy now! Be the first one to read the book.